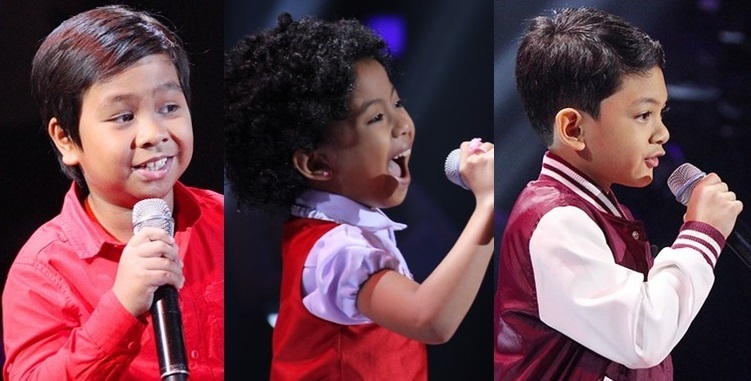 MANILA, Philippines - The hit singing reality show of ABS-CBN, 'The Voice Kids' Philippines Season 3 has completed the list of 72 artists during the last epsode of blind auditions on Saturday, July 16. The top 72 artists, 24 each for respective teams of coaches Lea Salonga, Bamboo Mañalac and Sharon Cuneta will advance to the Battles set on Sunday, July 17. Reports say that 'The Battles' follows the format of the previous season wherein three artists pit for one of the eight spots per team in the Sing-offs. 'The Voice Kids' Season 3 is hosted by Luis Manzano, Robi Domingo and Kim Chiu.